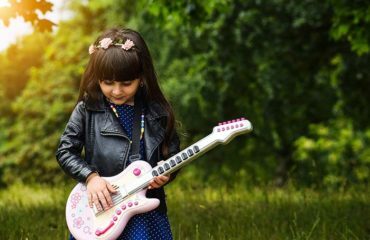 With the build-up to Christmas and the school holidays just around the corner, you’ll probably be looking for some activities to keep your kids busy. 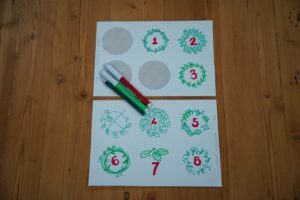 This DIY advent calendar is easy to make and comes with a twist that will ensure your kids stay happy and entertained throughout the Christmas holiday. 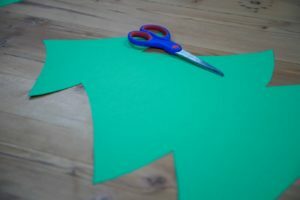 Step 1: Cut your green card into the shape of a Christmas tree and attach the buttons, either by sewing them on or gluing them. Stick the tree onto the A1 card. 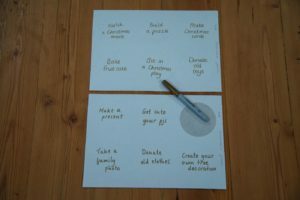 TOP TIP: If you are attaching your buttons with a needle and thread, do so before you stick the tree onto the A1 card. 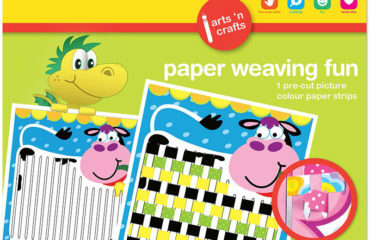 If you are gluing them, it might be easier to do so once the tree has been stuck to the A1 card. 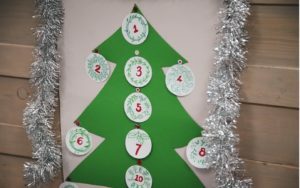 Step 2: Write the advent calendar numbers onto the TOWER round labels (one number per label) and decorate. TOP TIP: Depending on the age of your kids, draw the numbers on yourself and get your kids to decorate them. 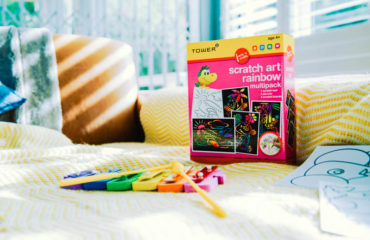 Step 3: Write 24 fun Christmas activities on the TOWER labels, one for each number. 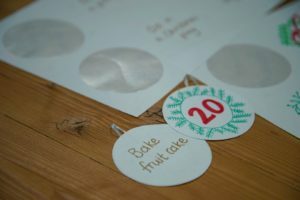 TOP TIP: Keep these activities secret so that your kids will have a fun surprise each day leading up to Christmas. 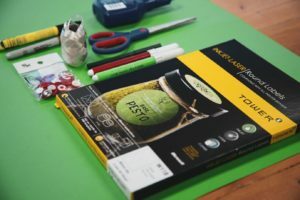 Step 4: Peel off an advent number, stick the string/ribbon to the back of it so that there is a loop sticking out the top, then stick the activity label to the back so that the adhesive sides are stuck together. TOP TIP: Make sure that you’ve made the loop big enough to fit over the buttons. Step 5: Hook each advent bauble onto its own button with the numbers facing outwards. Once you start the countdown, you can either remove the number or just flip it over.